The University of Chicago's Air Quality Life-Index has found India to be one of the most polluted countries in the world. Undeniably, air pollution is one of the biggest threats to human health. The World Health Organisation links close to 7 million premature deaths to air pollution. "This finding more than doubles previous estimates and confirms that air pollution is now the world's largest single environmental health risk," noted WHO's latest release. The release also established a correlation between high levels of indoor and outdoor air pollution and an increased risk of developing a range of non-communicable, lifestyle diseases like cardiovascular ailments, stroke, respiratory disorders and even cancer. 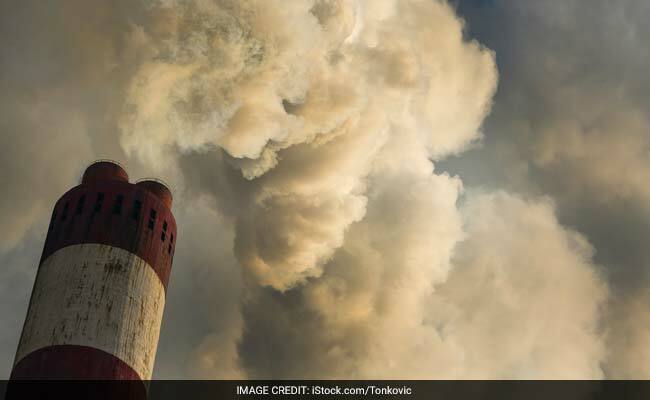 The University of Chicago's Air Quality Life-Index has found India as one of the most polluted countries in the world. The report noted if WHO's air quality standards are met by the country, Indians can add about 4 more years to their lifespan. "If the country reduced pollution to comply with its national standards, its people could live more than 1 year longer on average," noted the report. Some of the greatly impacted cities would include Delhi where an average person can add around 6 years to his/her lifespan if the country meets the national air-quality standards and up to 9 years if WHO standards are met. The study takes air borne particulate matter pollution, PM 2.5, into account and extrapolates it to see what impact any reduction in its volume would have on the life span of people. Accordingly, it says that if the PM 2.5 quantity in Delhi's air meets the WHO annual standard of 10 micrograms per cubic metre (ug/m3), people can live up to nine years longer and six years longer if it meets the national standard of 40 ug/m3. "The AQLI reveals that if India reduced its air pollution to comply with the WHO's air quality standard, its people could live about 4 years longer on average, or a combined life of more than 4.7 billion years. Delhi, Kolkata and Mumbai - the mega cities of the country - are among the highly polluted cities in the country. Bengaluru, Ahmedabad, Agra, Allahabad, Lucknow, Jaipur, Patna, Chennai are others in the list of polluted Indian cities among others. In case the air quality in your area is not too good, you can try natural ways to strengthen your lungs and the respiratory system. Indoor plants such as Areca Palm, help in purifying air inside your house. Rugs, carpets, curtains, cushion covers, mats and mattresses are some of the things that harbor dust and other air contaminants. Clean these regularly; use an air purifier if needed. Wear a mask before stepping out. Yogic breathing techniques may go a long way in making your respiratory system stronger and capable to withstand the damaging effects of air pollution. Bhastrika, Kapalbhati and Agnisar Kriya are few breathing techniques that are good to combat air pollution. You can try nasal rinses and saline gargles to clear your nasal passage and throat. Vitamin c is your best bet; it strengthens immunity and builds resistance. "Vegetables like coriander leaves, chaulai ka saag, drumsticks, parsley, cabbage and turnip greens are good sources that you should load up on," notes Dr. Rupali Datta, Chief Clinical Nutritionist, Fortis Escorts, New Delhi.